Kuehne+Nagel (SIX: KNIN), known as K+N, announced that it has launched online quotes for ocean shipping, joining many other initiatives from carriers and start-ups aimed at easing the international trade in containerized goods. K+N, the largest freight forwarder in ocean shipping, said it’s KN Pledge service is the first online quoting and booking platform for full container load shipment from a logistics service provider. It explained that the service, which offers a money-back guarantee, will cover both port-to-port moves as well as door-to-door moves. “We are proud to be the first in seafreight logistics to provide this innovative and comprehensive pledge to our customers,” said Otto Schnacht, K+N’s head of sea freight. K+N has been on a drive to automate more of its business processes through its eTouch initiative launched in 2017., although it was not immediately clear if KN Pledge is part of the eTouch initiative. Chief Financial Officer Markus Blanka-Graff said eTouch could handle up to 20 percent of its ocean container volumes by 2022. KN Pledge joins a host of other services launched to ease the at times quite painful process of ocean shipping. Maersk (Nasdaq OMX: MAER.B) started offering instant booking confirmation in November 2018. Hapag-Lloyd (XETRA: HLAG) said it is processing about 15,000 twenty-foot equivalent units (TEU) per week of its volumes via a web interface. Meanwhile, start-ups are also working on different iterations of moving ocean freight to online services. New York Shipping Exchange (NYSHEX) offers shippers and forwarders the ability to book container space online using their forward contract that offers space and equipment guarantees at a fixed price. Freightos offers real-time market pricing and booking through its platform. Australian freight forwarder Toll Group is also looking to add online pricing and bookings for small- and medium-sized customers by the end of this year with the help of U.K.-based software company Kontainers. Maersk Chief Executive Soren Skou said at a conference in March that the ability to offer online booking, quoting and container tracking will be “table stakes” for the industry going forward. With online quoting and booking increasingly available, freight forwarders will need to find ways to make additional margin or value-added services if “only thing they have to provide is a booking service as it is very easy to make a booking now,” Skou said. K+N said its new service stands out for offering a money-back guarantee “in the event that a [container] delay becomes unavoidable.” It offers the guarantee after a particularly tough peak shipping season that saw major U.S. ports experience severe congestion, cargo get rolled onto later ships, and shippers facing high detention and demurrage fees for the delays. 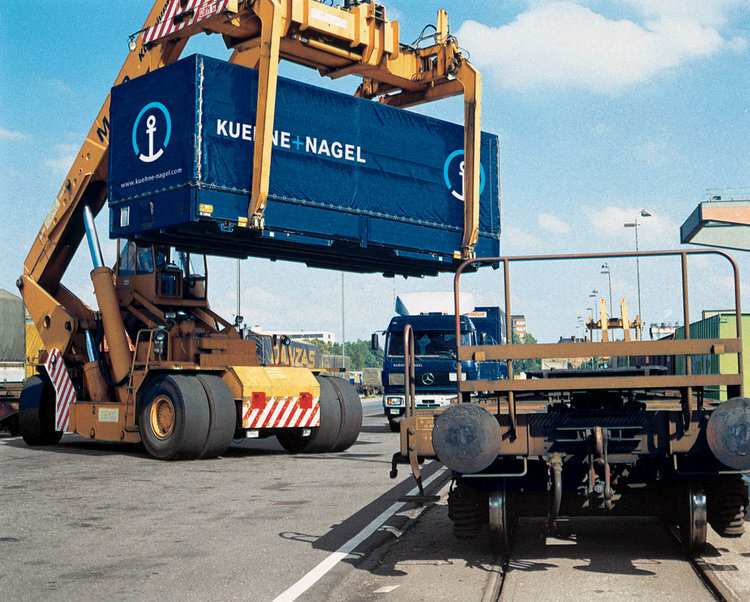 “Terminal, rail and road congestion, adverse weather conditions and delayed transit connections, for example, remain a regular cause of disruptions in the supply chain,” K+N said. K+N said the new service will also include cargo liability insurance up to $100,000 per container along with a carbon offset credit, which will be used to fund nature-based projects in the developing world.